It's been another exciting week for F&W on Instagram. Assistant digital editor @jksterling followed a rainbow to our test kitchen and found the next best thing to a pot of gold: associate editor Justin Chapple pouring a potful of soft polenta on our tabletop for editors to dive into (photo by Kirsten Stamn). New to the F&W team, I (@jamespomerantz) foolishly tried to out-lobster executive wine editor @rayisle. 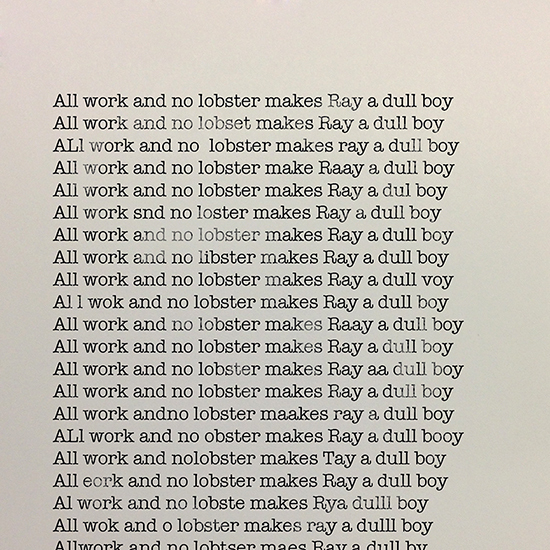 A recent dispatch from Ray's vacation in Maine had all of us here a little worried about his lobster consumption. Thankfully, the team from Filicori Zecchini shared some of their coffee products with us, including an affogato in a chocolate-lined, ice cream cone, espresso cup. Once the caffeine wore off, we all slept like happy panda cubs dreaming of the finer things in life.